A History of the English-Speaking Peoples is a four-volume history of Britain and its former colonies and possessions throughout the world, written by Winston Churchill, covering the period from Caesar's invasions of Britain to the beginning of the First World War (1914). It was started in 1937 and finally published 1956–58, delayed several times by war and his work on other texts. The volumes have been abridged into a single-volume, concise edition. Randolph Frederick Edward Spencer-Churchill was a British journalist, writer and a Conservative Member of Parliament (MP) for Preston from 1940 to 1945. Clementine Ogilvy Spencer-Churchill, Baroness Spencer-Churchill, was the wife of Winston Churchill and a life peer in her own right. 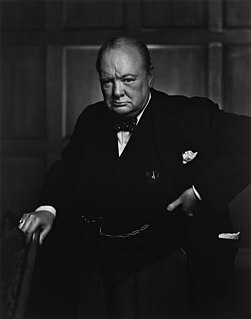 Sir Winston Leonard Spencer-Churchill, received numerous honours and awards throughout his career as a British Army officer, statesman and author. Winston Churchill, in addition to his careers of soldier and politician, was a prolific writer under the pen name "Winston S. Churchill". After being commissioned into the 4th Queen's Own Hussars in 1895, Churchill gained permission to observe the Cuban War of Independence, and sent war reports to The Daily Graphic. He continued his war journalism in British India, at the Siege of Malakand, then in the Sudan during the Mahdist War and in southern Africa during the Second Boer War. The International Churchill Society (ICS), formerly known as the Churchill Centre, was founded in 1968 to educate new generations on the leadership, statesmanship, vision, courage and boldness of Sir Winston Churchill. Thousands of members around the world work together to impress the record of Churchill's life and deeds on the 21st century. The Society's exhibits are located at the Churchill War Rooms and the National Churchill Library and Center at the George Washington University. Mary Soames, Baroness Soames, was the youngest of the five children of Winston Churchill and his wife, Clementine. She was the wife of Christopher Soames. The bronze bust of former British prime minister Sir Winston Churchill at Mishkenot Sha’ananim, Jerusalem was created by portrait sculptor Oscar Nemon. 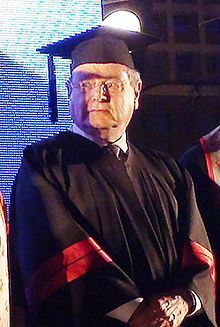 Anthony Rosenfelder, together with MK Isaac Herzog, initiated the process of erecting the bust of Churchill in Jerusalem.